The 88th Annual Academy Awards Round-Up! 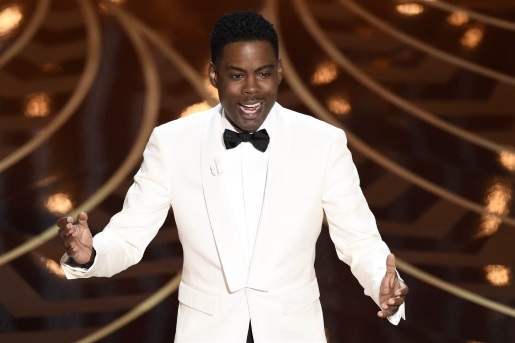 Oscars host Chris Rock provided some much-needed blackness to the evening’s proceedings. Hollywood loves a good excuse to get together and give out awards. No reason quite as good as the business of making movies, right? The Academy of Motion Picture Arts and Sciences gathered in Los Angeles last night to give out golden statues to the best and brightest of the film industry during the 88th annual Academy Awards. Two long-awaited lifers finally got their due, a masterpiece of film was slighted, Chris Rock was brilliant, and lots of people talked over lots of orchestral go-away music. Here’s the complete Oscars 2016 roundup. The highlight, of course, was Leonardo DiCaprio finally winning an Academy Award after a great decade of movies, from Jay Gatsby to Howard Hughes. He joins fellow acting award winners Mark Rylance (Supporting Actor), Brie Larson (Best Actress), and Alicia Vickander (Supporting Actress). Mad Max: Fury Road swept the technical awards, by and large, and a real long-overdue Oscar was awarded to none other than 87-year-old genius Ennio Morricone, who got a Lifetime Achievement Oscar in 2007 and composed a brilliant score for The Hateful Eight. Now, I was completely in the bag for George Miller, who directed my favorite movie of the year and one of the best action movies I’ve ever seen. The story was told completely visually, with the script as sparse and unornamented as the harsh desert landscape of Namibia where it was filmed. Miller’s film was a brilliant exercise in film making, and he deserved Best Director in addition to Mad Max‘s incredible six Oscar wins. However, some credit has to be given to Alejandro Gonzalez-Inarritu. He won last year for Birdman, and he’s the first back-to-back winner of Best Director in 60 years, which is kind of an amazing feat.